After enabled the feature, we’ll need to setup a workspace, which the folder where our source located (or the minified scripts we hosting in our local server). 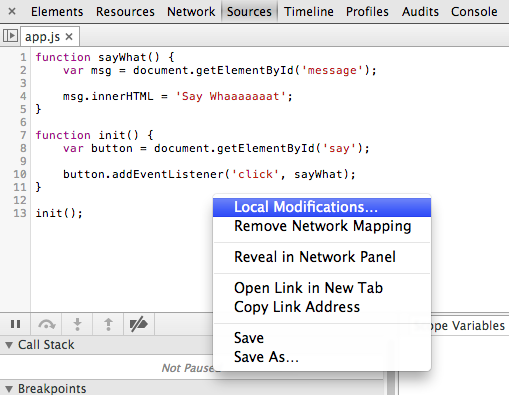 Open the Developer Tools from menu, shortcut or inspect any element on the page, click on the setting gear icon on the lower right to bring up settings dialog, click on Workspace on the left hand side panel, and browse the folder where our source is located, and allow when Chrome ask for permission. 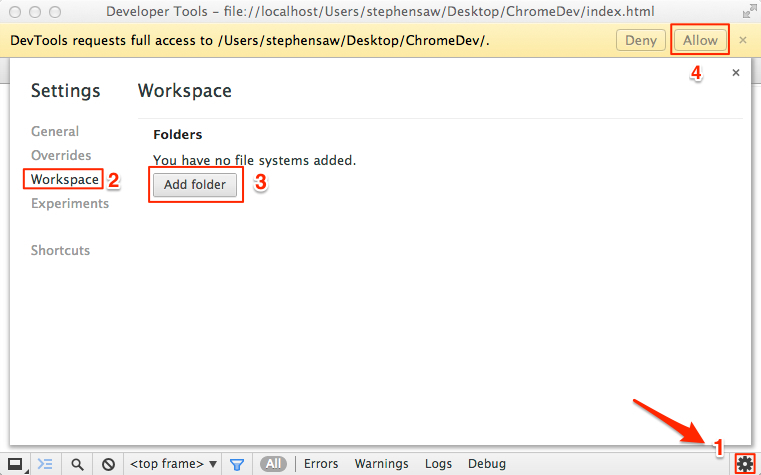 Now our Chrome being mapped to our local folder properly. 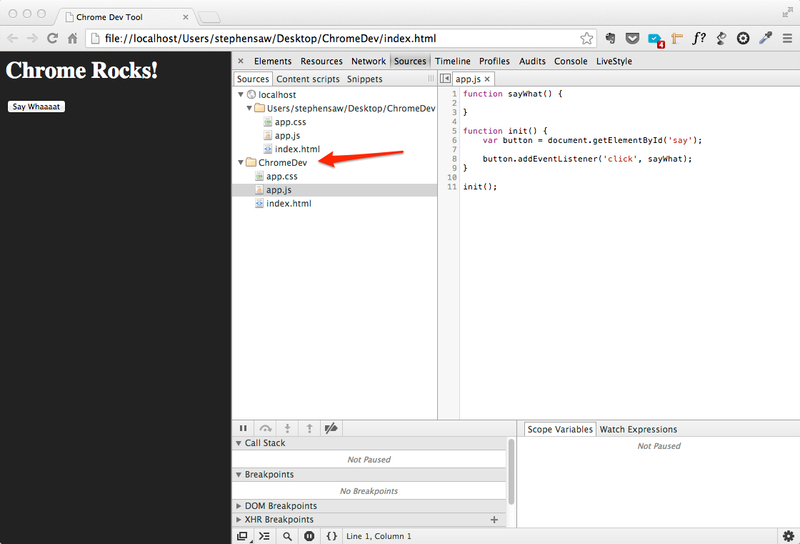 Now we can load our page from the folder in Chrome (note that we can browse using local IP). 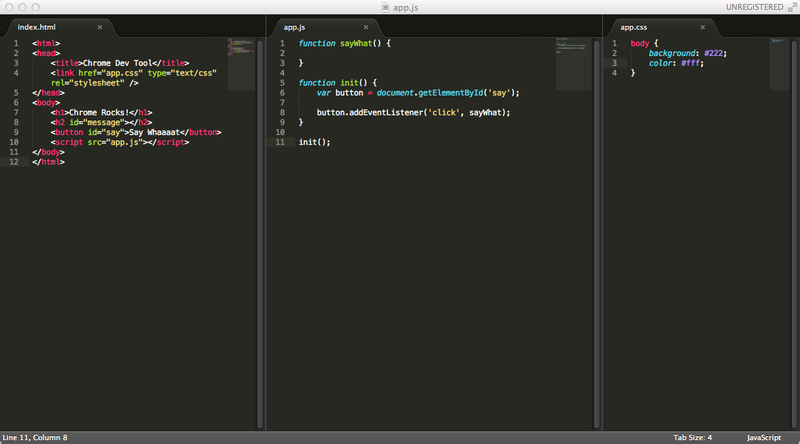 If I didn’t add the folder in the workspace, I wouldn’t be able to see the ChromeDev folder over there. 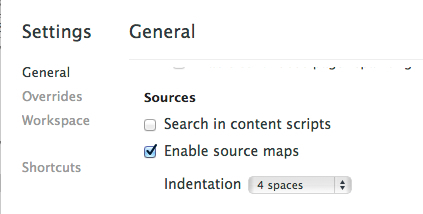 Sometimes I do encounter problem where the folder showing up, but DevTools did not know which file is mapped to which, so I’ll have to do it by right clicking on the code where I wanted to map, and choose Map to File System Resource. After that I’ll be presented a list of matching file name for me to choose. 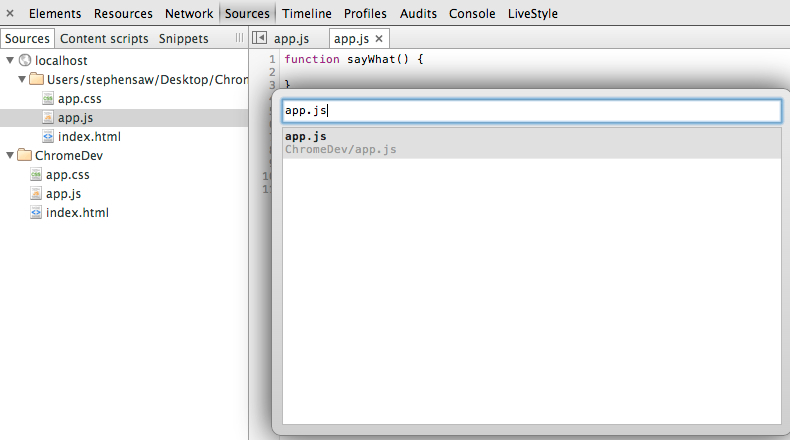 So now the button sitting there doing nothing, let’s add function to the sayWhat function directly inside the DevTools. 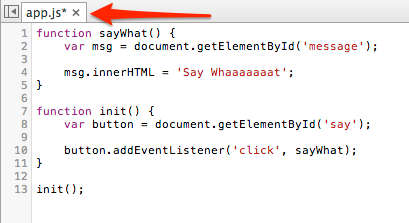 Once we edited the code, there will be a small * on the tab to indicate we made some changes and it have not saved. After we happy with all of our changes, head back to our local folder, and we’ll be happy that the changes we made in DevTools persisted back to our source code. Wait! What if I want to get back some code that I amended but dev tool overwrite my source code on the disk, how? 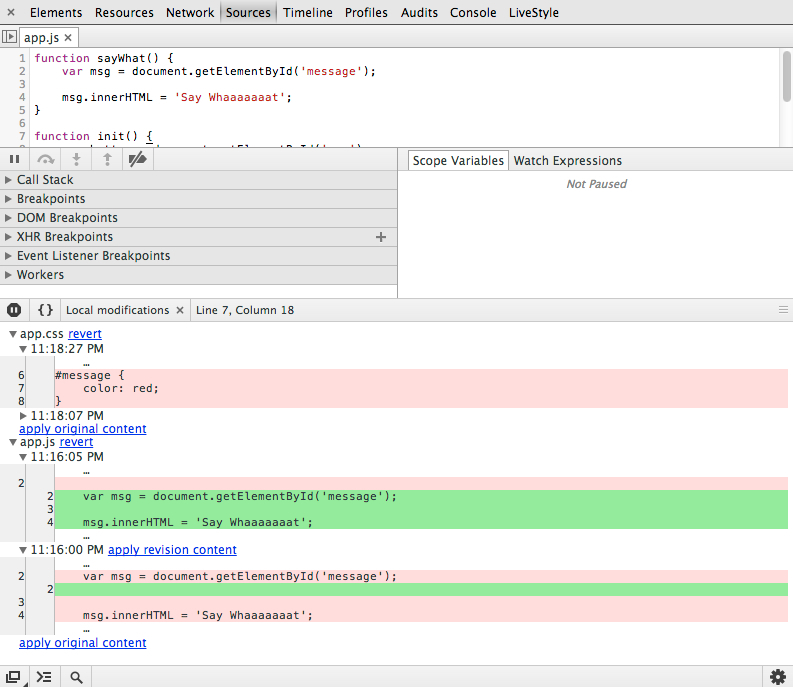 No problem, DevTools helps us to keep our code revision. Just right-click on the file we are working on, and choose Local Modifications. Our change history will be show with the ability to revert back to that particular revision. Even though DevTools provide a convenient way for us to track the changes, I still prefer to work on a duplicate copy, just in case. These are just a tiny bit of what DevTools can do, and I’m sure Chrome team will continue add more and more capability to the tool.